ABS Stands for Anti-lock Braking System. It is an electro-mechanical braking system, which is designed to minimize or prevent wheel lock-up during braking. Air Cleaner components include a filter, housing, and any connecting ductwork. The filter element is made of either porous paper or wire mesh screening. Its designed to prevent airborne particles entering your engine through the carburetor or throttle body. The Alternator is a device produces an alternating currency (AC) that is converted into a direct current (DC) that charges the car battery. A substance of ethylene or propylene glycol is added with the coolant to prevent freezing in colder weather. The Anti-Lock Braking System is a supplementary system used to base hydraulic system meant to prevent sustained lock-up of any wheels during braking. This also helps with controlling the automatic wheel slip. The Battery is a type of rechargeable battery that supplies electric energy to an automobile. Typically this refers to a starting, lighting, and ignition (SLI) battery that powers the starter motor, light, and the ignition system of vehicles engines. A Brake Caliper is the housing that fits over the brake disk. The caliper holds the brake pads that are pressed against the discs by the caliper pistons when the brake pedal itself is depressed. The loss of braking power is typically caused by excessive heat after repeated brake applications. A brake pad is the assembly of a brake shoe and lining used with disk brakes. The brake show is the backing for the brake lining. The term is usually applied to the assembly of the brake backing and lining. The Caliper is a hydraulically activated device in a disc brake system that’s mounted straddling the brake rotor. It contains at least one piston and two brake pads. Hydraulic pressure on the pistons that forces the pads against the rotor. The Camber is one factor to the wheel alignment. It’s viewed from the front of the car. It’s the inward or outward tilt of the wheel. The top of the tire will lean outward for a positive camber or inward for a negative camber. A Carburetor is a device that is mounted on the intake manifold of an engine that mixes both the air and fuel in perfect proportion to allow an even combustion. The Check Engine Light is a malfunction indicator that each on-board computer illuminates when it senses vehicle faults within the monitored system. The Clutch is part of the power train used to connect or disconnect power to the rear wheels. The Control Arm is the upper or lower suspension components, which are mounted on the frame and support the ball joints and steering knuckles. The Coolant is an important element that is a mixture of water and antifreeze circulated through the engine to carry off heat produced by the engine. A Constant Velocity (CV) Joint is a universal joint within a half shaft assembly. The output shaft turns at a constant angular velocity without variation, which provides the consistent speed of the input shaft. A Differential is a geared assembly that permits the transmission of motion between drive axles. This gives one axle the ability to rotate faster then the other axle. A Disc Brake is a hydraulic braking assembly that consists of a brake rotor, or disc, mounted on an axleshaft and a caliper assembly. These typically contain two brake pads that are activated by the hydraulic pressure. These pads are forced against the sides of the disc and create friction that slows the car down. A Displacement is the total volume of air that is displaced by all pistons as the engine turns through one complete revolution. A Distributor is mechanically driven device on an engine that’s job is to electrically fire the spark plug at a pre-determined point of the piston stroke. An Engine Block is the basic engine casting contains the cylinders, the crankshaft main bearings, and the machined surfaces for the mounting of other components, like the oil pan, transmission, and cylinder head. A Front End Alignment is a service to set caster, camber to the exact specifications. This ensures the car steering and handles will work properly and that the tires wear the correct way. The fuel system contains a porous paper element used to prevent impurities from getting into your engine through the fuel system. These are mounted in-line with the fuel hose and located between the fuel tank and the engine. The Fuse is a protective device in a circuit that prevents circuit overload by breaking the circuit when specific amperage is reached. This is designed to protect, through construction around a strip or wire of lower amperage. When amperage higher then that stamped on the fuse is present within the circuit the wire melts opening the circuit. Horsepower is a unit of power is the same amount of work needed to lift 33,000 lbs. Master Cylinder is the primary fluid pressurizing device in a hydraulic system. It’s found in brake and hydraulic clutch systems where it is pedal activated. It is either directly powered by the pedal or through the power booster in a power brake system. This is a suspension component combining a shock absorber and spring in one unit. Some cars over-respond when steering into a turn, which can result on excessive slip of the rear wheels. 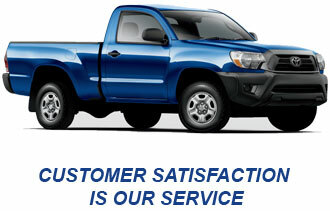 A Professional Technician is a repair technician that’s been properly trained in vehicle systems. Typically affiliated with ASE or another reputable certification. This technician should also have the proper tools to diagnose and repair your vehicle. This is a type of automatic steering system using a pinion gear attached to the end of the steering shaft. This meshes with the long rack attached to the steering linkage. The Radiator is part of the cooling system for a water-cooled engine. This is mounted in the front of the car and connected to the engine with rubber hoses. Through the radiator excess combustion heat dissipates into the atmosphere through forced convection using water and glycol-based mixture that circulates through the engine to cool it. The Rotor is a disc shaped part of the disc brake assembly that the brake pads bear. This is also referred to as the brake disc. Sensory devices are designed to measure engine operating conditions or ambient pressures and temperatures. Typically electronic, these send voltage signals to an on-board computer. Some operate as a simple on and off switch, while others may provide a variable voltage signals as conditions or measured parameters change. A serpentine belt is an accessory drive belt with multiple small v-ribs, each routed around the engine-powered accessories like the alternator and power steering pump. Both the front and backside of the belt encounters various pulleys. This is Napa Auto Repair’s commitment and pledge to each and every customer that your repairs will be done correctly the first time, and that you will be treated fairly, honestly, and respectfully. A Shimmy is a sign of worn suspension components from a vibration in the front end of your vehicle, caused by a misalignment. A short circuit is an electrical malfunction where a current takes a path of least resistance to ground, usually through damaged insulation. Current flow is excessive from low resistance resulting in a blown fuse. A device screwed into the combustion chamber of a spark ignition engine. The basic construction is a conductive core inside a ceramic insulator, which is mounted in an outer conductive base. An electrical charge from the spark plug wire travels along the conductive core jumps a preset air gap to a grounding point or points at the end of a conductive base. The spark ignites the fuel and air mixture in the combustion chamber. A Bar linking both sides of the suspension where it resists sway on turns by taking some of the added load from one wheel and putting it on the other. A Starter is a high-torque electric motor used for starting the engine, typically through a high-ratio-geared drive connected to the flywheel ring gear. Synthetic Oil is non-petroleum based oil. A rod connecting the steering arms. Tie rods have threaded ends that are used to adjust toe-in. A Timing Belt a square-toothed, reinforced rubber belt that’s driven by the crankshaft and operates the camshaft. The term Toe-In is to compare the extreme front and rear of the front tires. Closer together at the front is toe-in. The Torque is a measurement of turning or twisting force, expressed as foot-pounds or inch-pounds. The turbine used to transmit power from a driving member to a driven member via hydraulic action that provides changes in drive ratio and torque. In automotive use this links the driveplate at the year of the engine to the automatic transmission. A Tune Up is a regular maintenance function associated with the replacement and adjustment of parts and components in the electrical and furls system of a car for attaining optimum performance. Turn Over, also known as “cranks over” is when the action of the engine internal components rotating during the starting cycle. This is what happens when you turn the key before the engine starts. A flexible coupling in the driveshafts or axle shafts to operate at different angles and still transmit rotary power. Viscosity is the ability of a fluid to flow. The lower the viscosity rating the easier the fluid will flow. 10-weight motor oil will flow much easier then 40-weight motor oil. Volt is unit used to measure the force or pressure of electricity and is defined as the pressure needed to move one amp through a resistance of one ohm. This device controls the current output of the alternator or generator. The Wear Indicator is a metal tab mounted on disc brake pads that touch the brake rotor when the brake linings need replacements. This is an inclusive term to describe the front-end geometry including the caster, camber, and toe-in/out. This is a device found in the automatic drum brake assembly. The hydraulic pressure pushes the brake shoes outward against the drums through internal pistons.